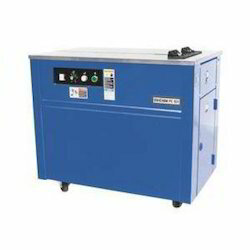 Vista Technopack Machines is committed to providing an exclusive variety of wide range of the product. We offer strapping machine which is semi-automatic. It is automatic stopping device which is controlled by the time. 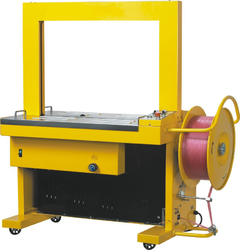 We have carved a niche in the market by offering best and most perfect quality assortments of Table Top Strapping Machines. They are produced with the use of best quality machines and skills to keep it as per required level. These machines are used for packaging and strapping purpose. They are cost effective rated.